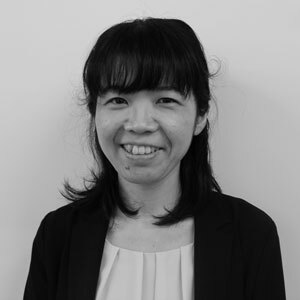 Hiromi Masuda joined UNU-IAS in April 2018 as Programme Coordinator for the Governance for Sustainable Development (GSD) project. She also works on the Education for Sustainable Development (ESD) project. She brings over 14 years’ experience in policy development and project management in Japan and abroad. Her research interests encompass environmental policies, climate change and urban/regional planning. Her primary research has focused on the governance of sustainable cities and public participation. She has served in a variety of environment-related positions in the Ministry of the Environment (MOE), Japan. She played an active role as a senior negotiator for the Japanese delegation in the process towards the adoption of the Paris Agreement under UNFCCC (2014-2016). She covered rule making on mitigation, transparency and global stocktake–the mechanism for ratcheting up each nation’s climate change policies and targets. She also designed and promoted domestic climate change policy to implement international frameworks, especially focusing on energy efficiency and renewable energy. This included the establishment and administration of new projects with various stakeholders in relation to the built environment, town planning and regional revitalization. Her experience also includes work on natural resource (air and water) management, including work on performing review and proposing improvements for environmental impact assessments and a secondment to the Ministry of Land, Infrastructure, Transport and Tourism (MLIT).